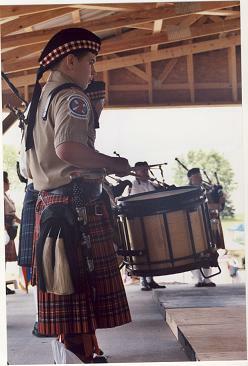 Members of the Akron and District Pipe Band joined the Gleann Mor Pipe Band in performance. The combined sound was wonderful and sent chills up the spine of many audience members. 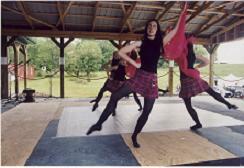 The Heather Belles are part of the Jenny May School of Highland Dancing. 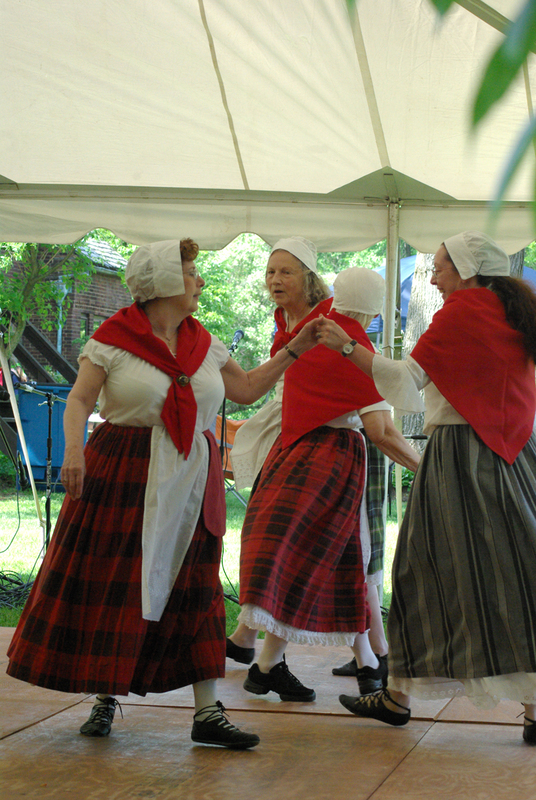 Once again this year they demonstrated a less conventional form of the dance. Take a well deserved bow..
Christie Urquhart Walsh teaches and directs these prize winning dancers. 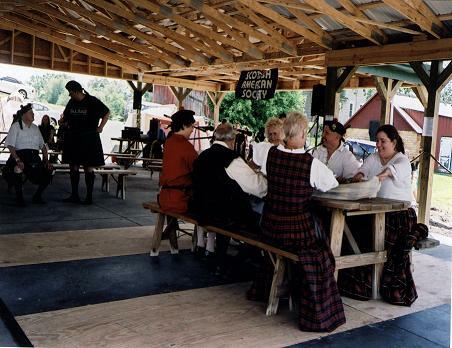 The wonderful Welsh Dancers from Columbus once more demonstrated their skill and taught those who were willing to give it a try. 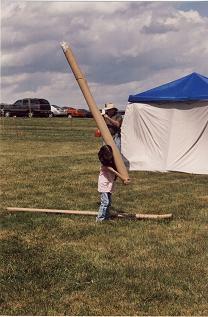 A wee contestant tosses the "caber." 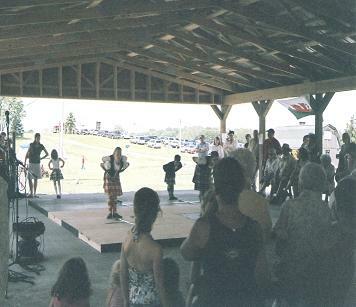 Tim and Christie Walsh directed the children's highland games. The kids had almost as much fun as the audience watching them participate! What a wonderful group! We were fortunate to have them play for us and be with with the Akron & District in a joint performance. Brought many a tear to the eye! 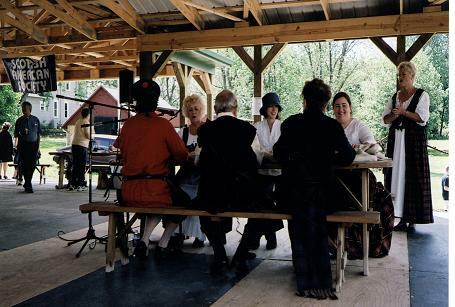 The waulking group, presented songs and movements traditionally involved in this process of treating wool fabric. 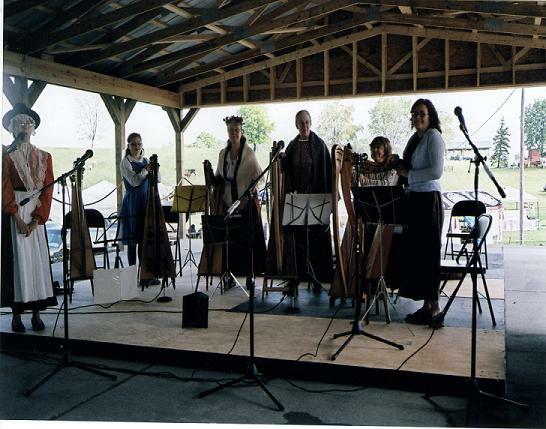 Frances Acar's group took top prize at Ligonier Highland Games in 2007.
the Northeast Ohio harp group entertained all.